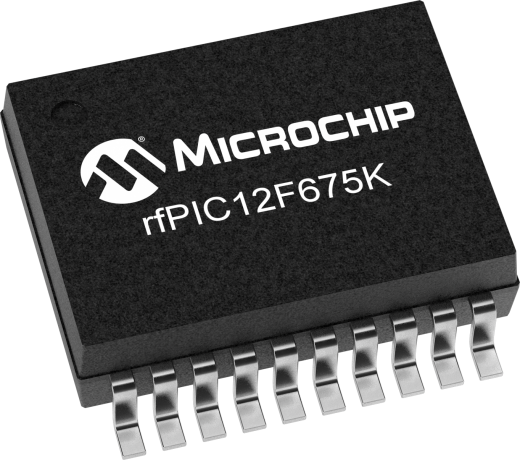 The rfPIC12F675 devices pack Microchip's powerful yet easy-to-program PICmicro® microcontroller architecture and a 315 MHz ASK/FSK RF transmitter into a 20-pin package. In addition, it features a 4 channel 10-bit Analog-to-Digital (A/D) converter, one Comparator channel, and 128 bytes of EEPROM memory. The devices offer field re-programmability, small package outline, and low external component count to fit the most space-constrained applications.